Researchers have begun to characterize microglial transcriptome changes in neurodegeneration (Jun 2017 news; Crotti and Ransohoff, 2016, for review). Ido Amit and colleagues at the Weizmann Institute, Rehovot, Israel, for example, recently described a subgroup of disease-associated microglia, aka DAMs, in the brains of 5xFAD mice (Keren-Shaul et al., 2017). 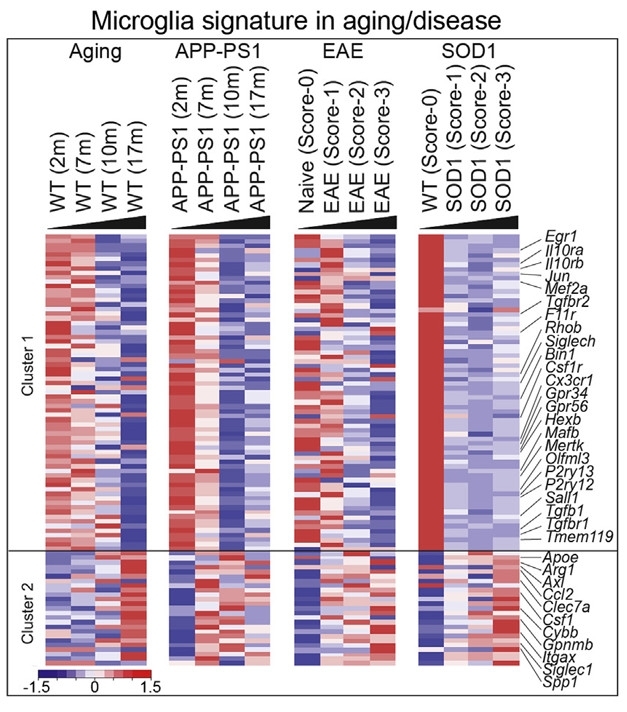 DAMs express low levels of homeostatic, but high levels of lipid metabolism, phagocytosis, and AD-relevant genes, including APOE and TREM2. Next, the scientists eyed TREM2 as a possible accomplice because TREM2 binds ApoE and senses the kinds of lipids damaged cells spill. Indeed, knocking out TREM2 suppressed the MGnD profile, locking microglia in APP-PS1 and SOD1 mice in homeostasis. Interestingly, in the APP-PS1 mice, plaque load dropped at four months of age. As with ApoE deficiency, TREM2 deficiency protected neurons whose axons had been cut. 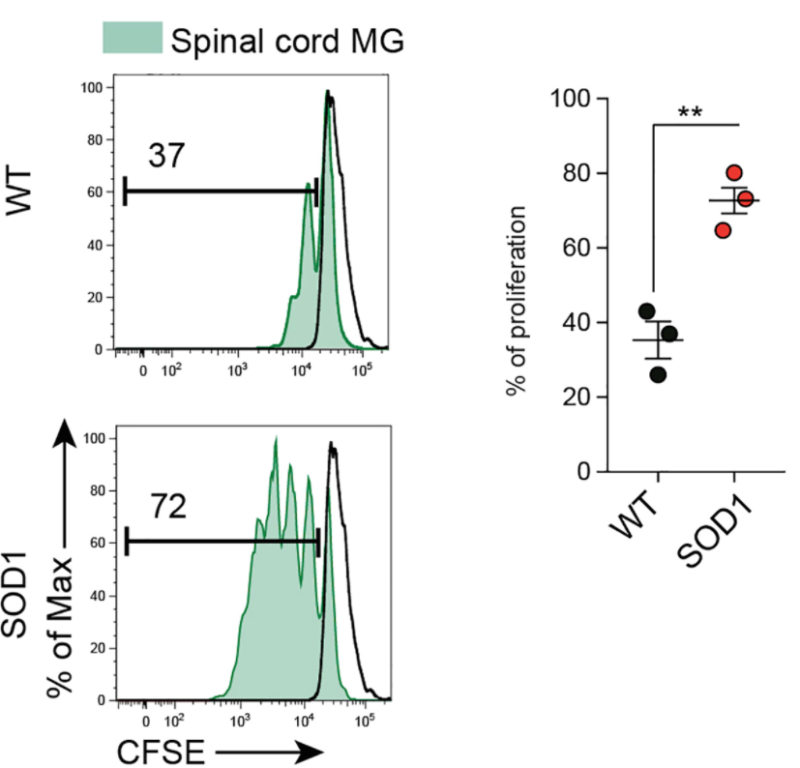 Consistent with results in 5XFAD mice, in which TREM2-deficient microglia don’t descend on Aβ plaques (Wang et al., 2015; Kawabori et al., 2015), the researchers saw fewer microglia crowding around plaques in AD postmortem brains of carriers of the R47H or R62H TREM2 loss-of-function mutations than in patients without those mutations. The carriers’ tissue also stained more brightly with antibodies against the homeostatic protein Tmem119. Yet Butovsky’s new study suggests MGnD can be detrimental. The authors cite other findings consistent with this. For example, the CD33 AD risk allele is linked to high TREM2 expression (Chan et al., 2015). “MGnD microglia may not always be bad,” Butovsky acknowledged, adding, “They could be beneficial at later stages of AD.” He suspects late, rather than early, benefits because of the low plaque load his team observed in young APP-PS1 mice lacking TREM2 (Jay et al., 2015; Jay et al., 2017). More work is needed to sort out this question. Do MGnD microglia play similar roles in different neurodegenerative conditions? “It is puzzling that the microglial genetic risk is seen strongly only in AD. 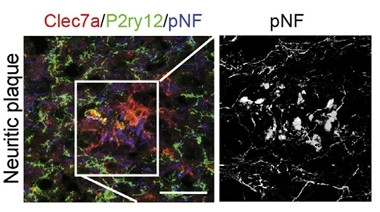 Parkinson’s disease and ALS have a microglial component, but it’s less strong. Maybe there is more widespread death throughout the brain in AD,” speculated Goate. She also noted that the MGnD phenotype may affect risk in some diseases, while changing the rate of progression in others. This would jibe with a recent role of ApoE in exacerbating microglial responses and accelerating progression in the presence of tau pathology (Shi et al., 2017). 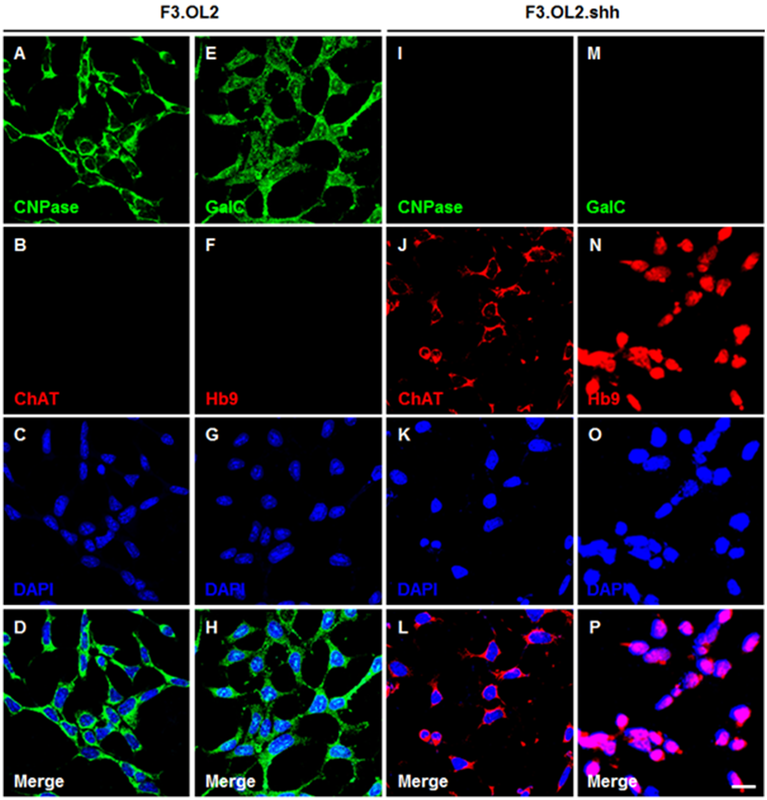 Looking ahead, UCSD’s Glass would like to see confirmation of the MGnD phenotype in human microglia. For his part, Butovsky is excited about the possibilities of targeting ApoE. “Can we manipulate ApoE focally, perhaps specifically in microglia?” he asked. Krasemann S, Madore C, Cialic R, Baufeld C, Calcagno N, El Fatimy R, Beckers L, O’Loughlin E, Xu Y, Fanek Z, Greco DJ, Smith ST, Tweet G, Humulock Z, Zrzavy T, Conde-Sanroman P, Gacias M, Weng Z, Chen H, Tjon E, Mazaheri F, Hartmann K, Madi A, Ulrich JD, Glatzel M, Worthmann A, Heeren J, Budnik B, Lemere C, Ikezu T, Heppner FL, Litvak V, Holtzman DM, Lassmann H, Weiner HL, Ochando J, Haass C, Butovsky O. 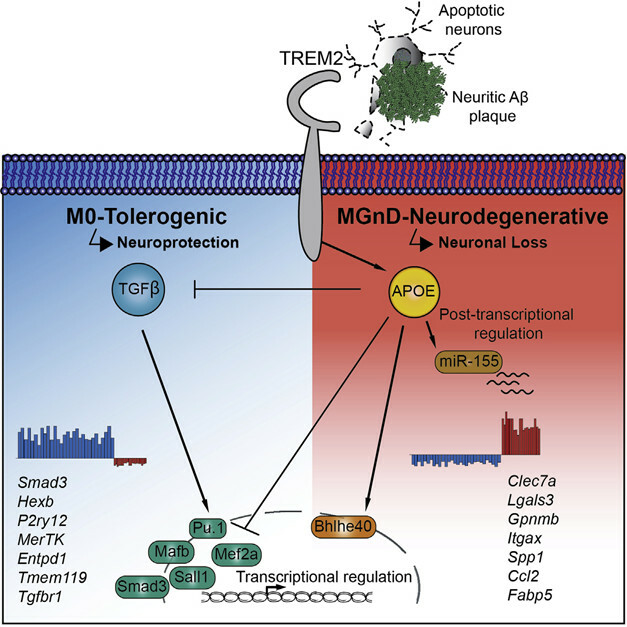 The TREM2-APOE Pathway Drives the Transcriptional Phenotype of Dysfunctional Microglia in Neurodegenerative Diseases. Immunity. 2017 Sep 19;47(3):566-581.e9. PubMed. Jay TR, Miller CM, Cheng PJ, Graham LC, Bemiller S, Broihier ML, Xu G, Margevicius D, Karlo JC, Sousa GL, Cotleur AC, Butovsky O, Bekris L, Staugaitis SM, Leverenz JB, Pimplikar SW, Landreth GE, Howell GR, Ransohoff RM, Lamb BT. TREM2 deficiency eliminates TREM2+ inflammatory macrophages and ameliorates pathology in Alzheimer’s disease mouse models. J Exp Med. 2015 Mar 9;212(3):287-95. Epub 2015 Mar 2 PubMed</a. Jay TR, Hirsch AM, Broihier ML, Miller CM, Neilson LE, Ransohoff RM, Lamb BT, Landreth GE. Disease Progression-Dependent Effects of TREM2 Deficiency in a Mouse Model of Alzheimer’s Disease. J Neurosci. 2017 Jan 18;37(3):637-647. PubMed.